Featured on the Monolith Cocktail last year, in an outburst of Apollonian and Dionysian lyrical praise by Ayfer Simms, the Greek rockers Cyanna Mercury garnered a favourable review for their western tinged, sacrosanct organ Ode To An Absent Father. But it is the, similarly hewn from classic psych rock, flip side to that single Dirty Things that now merges from the underworld to feel the singeing pains of the post-crash overground, with both an original and acoustic version packaged alongside a live homage to (arguably) Greece’s favourite sons Aphrodite’s Child, on the group’s new EP. The group, with a nod in tribune to the recent death of the prog/psych/pop seers inimitable and ethereal singer Demis Roussous, make a decent and robust effort of their most loved and critically acclaimed epic, The Four Horsemen. 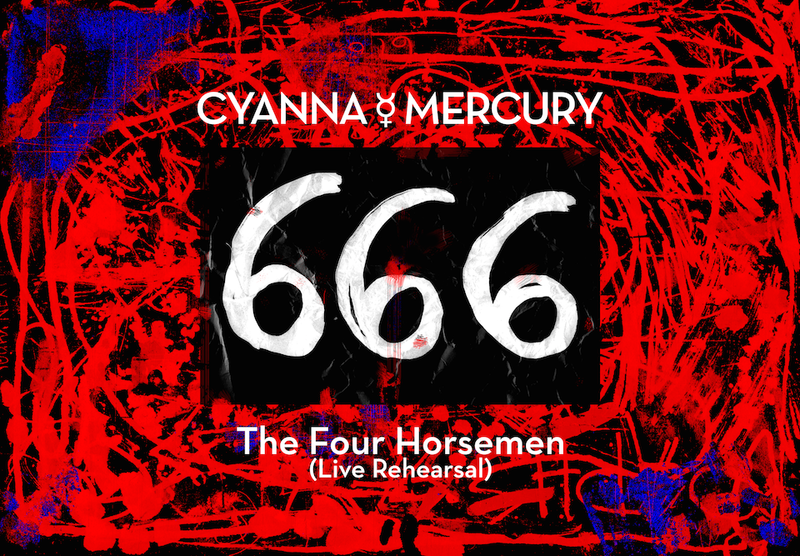 The original centrepiece of Aphrodite’s Child’s 1972 book of Revelations concept album 666, The Four Horsemen could in the face of more recent austerity driven events be seen as an apocalyptic metaphor for the uncertainty still to come. Released as a limited edition cassette, the Dirty Things EP is due out on the 20th March 2015, ahead of their debut LP Archetypes in the fall. If you happen to be in the Greek capital on that same date, you can catch the band performing their first headline show at the Trianon Cinema.